Thailand is one of the most attractive tourist destinations in the world. With its unbelievable beautiful islands, Thailand used to be a place where people from the western countries come here to spend their winter vacations. In Thailand there are some places that are particularly attractive such as the islands of Phuket and Ko Samui. There are also some places, however, that are much less known, but not less attractive. Tourists, who have the pleasure to visit Thailand must necessarily devote some time to visit the national parks of the country. Very important is also the fact that the local food is very tasty, and the local residents are considered to be some of the sweetest and polite people in the world. 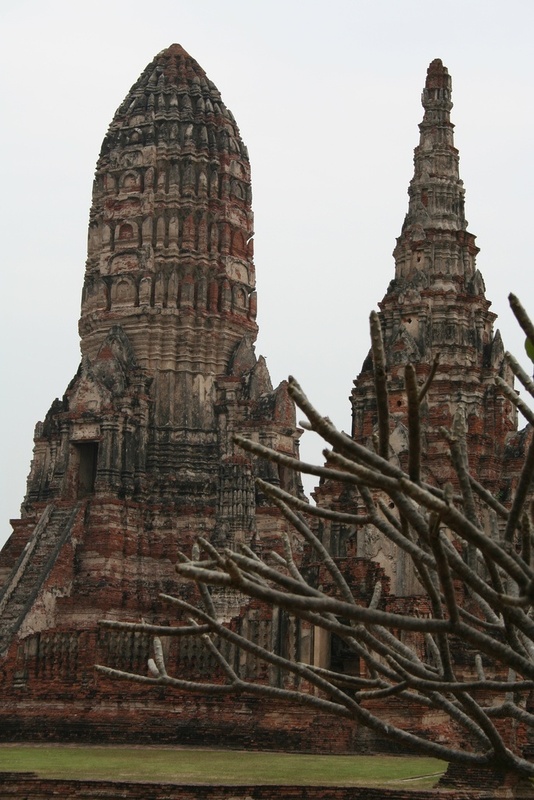 Here are some of the main sites and attractions that you must visit if you travel to Thailand. Ko Phi Phi is a real gem that the Mother Nature has created among the waters of the Andaman Sea (part of the Indian Ocean). It is a rocky island which rises vertically from the azure waters of the ocean. The vertical slopes are covered with dense tropical vegetation. Around the splendid beaches lazily grove coconut palms, and the atmosphere is generally quiet with the exception of the cases, when the tourist boats “dump” crowds of people on the shore. But this is for short. During the rest of the time the island is a real paradise. Phuket Island is located on the west coast of Thailand and it claimed to offer the largest and best for accommodation options. Phuket is a tourist destination number one in Thailand and it is the country’s business card to the world. The beaches are amazingly beautiful, the ocean water in the ocean is transparent like in a swimming pool. In the heart of Phuket Island there is a fantastic tropical forest that is protected by the law. This is the Khao Phra Thaeo National Park. Here for the visitors of the island are regularly organized safaris with elephants in the jungle. Indeed, if the “driving” on the back of an elephant is not adventure what then??? Ko Samui is a great island among the waters of the Siamese Gulf (Gulf of Thailand). Besides its amazing beaches, the island is famous for its Buddhist temples and coconut plantations. Ko Samui is very attractive tourist destination and accepts regular flights from other parts of Thailand, China, Singapore and Malaysia. A great attraction in Thailand are the floating restaurants, with no mater if they are clubs, bars, restaurants or nightclubs. In the recent years they have become something as an emblem of this country. The best time to go to the floating restaurants is the evening when the sun sets and the river began to radiate specific scent in the air. Usually the floating restaurants are located in places with a lot of greenery and away from the city noise and dynamics. The temple of The Laying Buddha is located in the capital of Thailand – Bangkok. This is one of the largest urban attractions. Inside the temple is actually lying about 40 meters long golden statue. Well, the inside of the statue is not gold, but at the expense of that from outside it is covered with tons of gold. Wat Traimit or better known as the Temple of the Golden Buddha is located in the heart of Bangkok. It is situated adjacent to the Grand Palace (another major landmark of the capital). Into the temple is located golden statue of a seated Buddha. The sculpture is made of over 5 tons of gold! Today is one of the most photographed destinations in Thailand. It is very impressive to stay face to face with such a giant golden colossus. This temple is a true work of art. The facade is snow white, the roof – red and it is decorated with golden ornaments. The building is so typical and traditional for this part of the world that can serve as a standard. Simplicity and sophisticated forms complement surprisingly well. Like any other exotic country, Thailand also has its quirks that make it even more charming in the eyes of the visitors. One such strange sights are the crocodile farms, which can be seen throughout the country. The crocodile farm in Samut Prakan is regarded as one of the largest in the world. But do not think that here you can just watch the thousands of sleeping under the hot tropical sun crocodiles – just on the contrary! Here are played shows and performances with the active participation of the crocodiles, surviving from the age of the dinosaurs. This is the bay, which stretches in the east of Phuket Island. It is famous for its amazing relief forms. This rocks stand like pillars vertically from the water surface. The strange rocks are wider in its upper part than in the bottom. These boulders are covered with dense tropical vegetation and are an important attraction for the millions of tourists, who remain delighted by what they see. The Royal Palace “Grand Palace” is one of the most important sights in Thailand. Situated right in the heart of Bangkok, on the east bank of the river, the palace enchant with its beauty everybody, who are lucky to catch a glimpse of it. This masterpiece stands proudly in this place since 1782. One of the most remarkable parts of the palace is the Emerald Buddha statue. Although today is within the borders of the palace, it was created in the first century BC in the city of Pataliputra in India. This is the ancient capital of Siam (modern Thailand). The town is a historical monument under the open skies. Everywhere one can see Buddhist temples and statues of Buddha. The town is situated along the River Chao Praia. Here was lived dozens of generations of rulers. The city is considered to be one of the architectural wonders of Asia. As an importance in the past the city can be compared with cities like Athens and Rome. As a result of the invasion of the Burmese, the city was almost completely destroyed. Consequently, the capital moves where it is today – in Bangkok. Inthanon peak is 2,565 meters high. This is the highest point in the country. It is located in northwestern Thailand. Here the heat, which is typical for the lower parts of the country are something unknown. Although with an altitude of more than 2000 meters, there is not too cold climate and there are ideal conditions for the development of the vegetation. The place is marked by carefully constructed wooden plate and the altitude is inscribed with golden letters. Located in Kanchanaburi province, the waterfalls is surrounded by rock formations around it and attracts a huge number of tourists. The noise of the flowing water in combination with the dense tropical vegetation make the place to look like a scene of a fairy tale. For the area around the waterfall is allegedly the most beautiful in Thailand. The local green and dense tropical forest is home to a huge number of plant and animal species. Because of the relatively small distance from the capital Bangkok, the National Park of Erawan is strongly visited and enjoys a impressive popularity. The park is located on the coast of the beautiful lake of Si Nakarin. Tarutao is the first marine national park in Thailand. It is located in the southwestern part of the country. It covers the adjacent waters of 51 islands. This place has amazing underwater world – fish and corals form a pageant of thousands of indescribable colours. This area is considered to be one of the most quiet and peaceful holiday spots in Thailand. The location is not suitable, however, for people seeking fun and crowds of people, because in this part of the country practical does not night life. The islands are rather more suitable for tourists, seeking calmness and can offer solitude among the beauty of the nature. Khao Yai is the oldest national park on the territory of Thailand. The fauna is so diverse that you can not imagine until you see with your eyes! Among the dense tropical vegetation live birds, reptiles, carnivorous and herbivorous mammals and many others species. Besides being the oldest, the park is the second largest in Thailand. If you are lucky to visit it you can see even elephant or tiger, and if you have a lot of luck, you will be distanced enough from the biggest cat. Sacred to millions of Thais, the temple Wat Phrathat is considered to be the oldest into the province of Chang Mai. It dated from the 1383. This is perhaps the biggest attraction in the North parts of Thailand. To reach the temple the visitors must climb over 300 steps to the top. In the temple you can see one amazing emerald made Buddha statue and a statue of the Hindu god Ganesh. Rose Garden is a magnificent park, located less than half an hour west of the capital Bangkok. Among the park are situated a limited number of hotels that offer comfort and clean environment at only one hand distance by the vibrant megalopolis. Rose Garden is a great attraction and attracts huge number of visitors who come to enjoy a great variety of exotic trees and flowers. Located about at an hour drive west of Bangkok, the floating market is one of the biggest attractions of the country. Among the river waters, close to the shore, shallow wooden boats carry the goods of the local merchants. And these goods varies tremendously – from pastries and fruit to hats. With certainly you’ll love Thailand, when dive among this typical and traditional Asian atmosphere. With its height of only 18 meters this is the highest waterfall in Thailand and one of the most attractive in the country. Located on the tourist island of Phuket, this is one of the biggest attractions of the island. Although it is not high, it is still incredibly beautiful. However, height and beauty are two completely different things. Downstream of the waterfall is highly influenced by the whether and if it is a dry or rainy season. During the dry season the waterfall almost completely disappear. – The main religion – Buddhism, but in the country live also a small percentage of Muslims, Christians, Hindus and others.